Photo: Local fabric, Muang Sing. The small town and district of Muang Sing sits nestled in a wide-open valley ringed by a fortress of green hills and mountains, just 58 kilometres northwest of Luang Nam Tha. It has all the makings of a star destination: gorgeous scenery, relaxed atmosphere and an astonishing number of ethnic minority villages living side by side. Within 10 kilometres of the town centre live nine distinct groups: Akha, Tai Lue, Tai Neua, Lolo, Hmong, Tai Dam, Khmu, Phou Noi and Yao. Men and women in traditional dress are a common and brilliant sight and this high concentration of minority groups is almost unparalleled in not only Laos, but all of Southeast Asia. Six years ago a German development NGO primed Muang Sing for tourism success. The tourist office was well set up, tourist maps and brochures printed, good community-based trekking itineraries and village homestays created. But the NGO left and the boom never came. Over the years the tourist numbers have steadily declined and now it has all but dried up. People are just not coming and we’re baffled as to why. It’s only a two-hour stunning scenic drive from Luang Nam Tha, a route that follows along the Nam Tha River valley through the Nam Ha National Protected Area. If you’re looking for challenging trekking and real cultural experiences in Laos, this is the place. The town itself is relatively attractive, a tidy grid of dirt roads that you can easily wander by foot. Some Tai Lue-style wooden buildings remain and the whole place feels reminiscent of a bygone era. The surrounding area is unwaveringly flat, making it an ideal place to explore by bicycle. It’s as easy as hiring one in town, buying a map at the Tourism Information Office and striking out to see the villages and peaceful pastoral scenery. Of the small number of people who do make the journey to Muang Sing, most come between November to February. But rainy season reveals Muang Sing’s true beauty: Rice paddies cover the entire valley and it’s one of the most beautiful landscapes we have ever seen. There’s plenty to do as well as see around here. You can take yourself on a local walk or self-guided bike trip, though an organised guided trip or trek will certainly be more rewarding. There are also 25 temples in the valley. “Muang Sing, A Cultural Guide Book”, a booklet for sale at the Tourism Office, points out that this density of wats cannot be found anywhere else in Laos outside of Luang Prabang. For such a peaceful place, it is hard to imagine that Muang Sing has a rather tumultuous and lively history. From the 18th to 19th centuries it was part of the principality of Xieng Khaeng and its geographic position meant it was victim to constant raids and demands for tributes by neighbouring kingdoms. Caravans passed through here, part of the “Ancient Tea Horse Road” trade route that saw goods flow between China, Burma and Siam. In 1895 Muang Sing was invaded by British troops coming in from Burma, then it fell under French control and prospered as part of the Golden Triangle opium trade. The French used it as an opium weigh station and market. The final insult was in 1946, when the Chinese Kuomintang attacked the town and destroyed the market and city walls. The threat today is the growing demand and influence from its big neighbour China. Considering Muang Sing’s proximity to the Chinese border, it’s pretty amazing how well the ethnic tribes have maintained their customs and traditional way of life. But in the last five years, more Chinese businesses have appeared in town. The lands once used for rice paddies have been leased by Chinese companies and the district is engulfed with cash crops that require intensive agriculture: bananas, cassava, rubber and watermelons. Only time will tell what impact it has on the land and the culture. Muang Sing’s bus station is located beside the market in the north end of town, a 10-minute walk from where most places to stay are located. The town is laid out in a neat grid pattern making it very easy to navigate. There are ATMs and banks but no moneychangers. Some 18 kilometres due east is the Chinese border, only open to Lao and Chinese for crossings. The road southwest leads to Muang Long and the Mekong River/Burmese border at Xieng Kok, 70 kilometres away. It’s worth stopping at the Muang Sing Tourism Office on the main street. The staff speak English, information about the ethnic groups is displayed along with a large map of the region, and itineraries for different treks and tours which you can book through them are provided. You can buy a good colour map for only 3,000 kip – it’s dated but still helpful for do-it-yourself exploration. On one side is the town, and the other side maps all the outlying villages and their ethnic groups. The office is open Monday to Friday, 08:00-12:00, 13:30-16:30. We were told emphatically that it is open year round, but one time when we went in rainy season it was shuttered up. Given the number of different ethnic groups, there’s a good chance your visit will coincide with an interesting local festival, ceremony or temple celebration. The Tourism Office will post notices about any local festivals so call it a lucky coincidence if you happen to stumble across Tai Neua New Year or a pig sacrifice at an Akha wedding. The landscape is mountainous with an elevation ranging from 540 to 2094 metres. From December to February be warned that the night time temperatures can be freezing. Though daytime temperatures are pleasant throughout the year, the sun is intense and we’ve learned the hard way that a combination of sunscreen and covering up is the best protection. 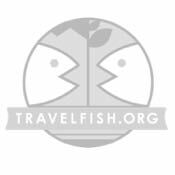 Please sign up as a Travelfish member to download the Muang Sing guide PDF (1.2 MB, 14 pages). Membership costs just A$35 per year (less than A$1 per week) and gives you access to over 250 PDF guides. Last updated on 12th October, 2016. Browse our independent reviews of places to stay in and around Muang Sing. 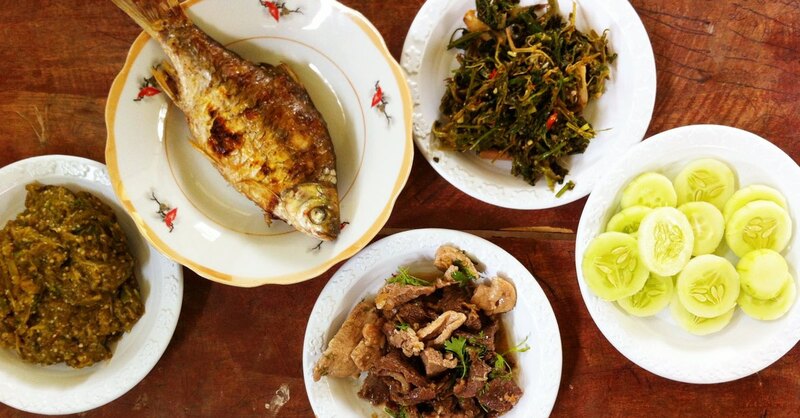 Read up on where to eat on Muang Sing. Check out our listings of things to do in and around Muang Sing. Read up on how to get to Muang Sing. Planning on riding a scooter in Muang Sing? Please read this.  Use the above map to find specific destinations in and around Muang Sing which are listed on Travelfish. Bed icons indicate a guesthouse, hostel or hotel, the knife and fork is an eatery or bar and the four-way circular thingy marks sights, attractions and other points of interest. Click on any icon for a short pop-up and a direct link to the page for that spot. If you are in the area, use the teardrop icon near the top left to show your position on the map (you'll need to allow position sharing for this last feature to work).